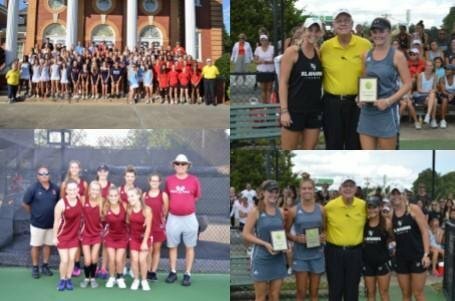 Several members of the Mid-Carolina High School Girl’s Tennis Team participated in the 2018 Chick-fil-A Hall of Fame Classic held in Belton, SC on Friday, September 29th and Saturday, September 30. Congratulations to Elise Mills for winning her division in singles and congratulations to Caroline Matney and Elise Mills for winning their division in doubles. All of these young ladies did an outstanding job and we are very proud of how they represented Mid-Carolina High School as well as our community.